Press: We are Growing and Moving Again in 2014 - Outsource Management Group, LLC. As our client base and staffing needs continue to grow, Outsource Management Group will be moving its corporate headquarters in October 2014. Over the next 4 months our corporate offices will be transitioning from our current 4,000+ sq ft location into a new 5,000+ sq ft. headquarters in the same area of Bloomington, Indiana. 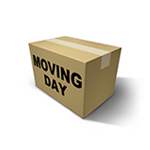 This move will allow us to better accommodate the additional staff and equipment needed to continue to provide our current, as well as new clients with our leading medical billing services. We’re very excited with the exponential growth we’ve seen from 2012 through 2014 so far, and expect to see nothing but continued growth over the next five years. Our new corporate headquarters will allow us to grow with our clients and provide them with nothing less than our high-end standard in billing and coding. For all media inquiries and questions regarding the move of our headquarters, or to inquire about any available positions within our departments, please feel free to contact us below.